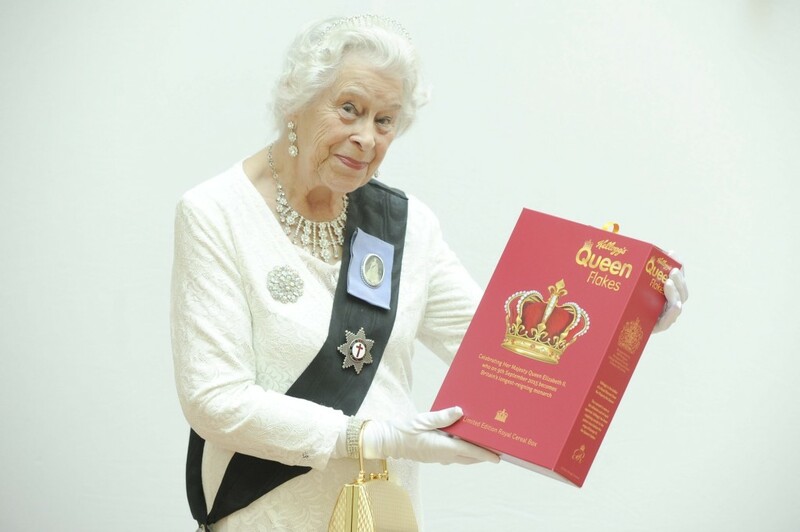 Kelloggs Introduces New ‘Queen Flakes’ to honour Queen Elizabeth’s Reign. Well, today is the day that our good old monarch Queen Elizabeth II celebrates overtaking Queen Victoria as the longest serving monarch in British history. This truly is a time of patriotic reflection and we should all be showing our respect to the Queen by eating as much breakfast cereal as possible. No, you haven’t mis-read and no, I haven’t had a funny turn. 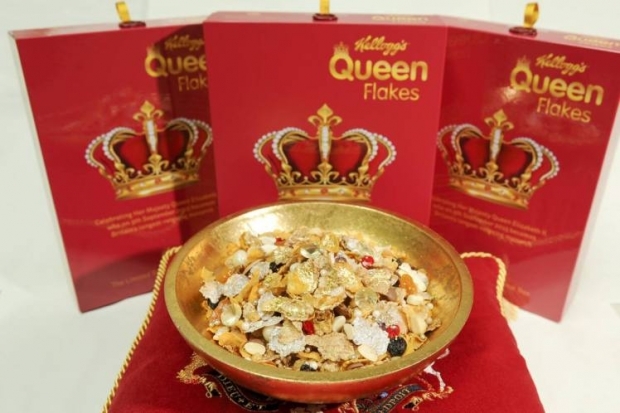 Kelloggs, in all their patriotic glory, have brought out some new, limited edition ‘Queen Flakes’ to honour Queen Elizabeth’s reign. This really is a stroke of marketing genius that we all wish we’d thought of first (well, a printing company bringing out a limited edition breakfast cereal would be a bit odd but you get the picture). A spoonful of this regal brekkie would treat you to some fabulous gold leafed cornflakes with edible diamonds and pearls. Also: as if that wasn’t enough, it also includes macadamia nuts (a favourite of the Queen!). YUM! However, before you grab your coat (or robe!) and head out in your carriage to your nearest supermarket to buy these royal delicacies, don’t! They’re only available at Manchester’s Black Milk Cereal Bar and can be yours for a cool £6.30 per bowl. Photo credit: Black Milk Cereal Bar.